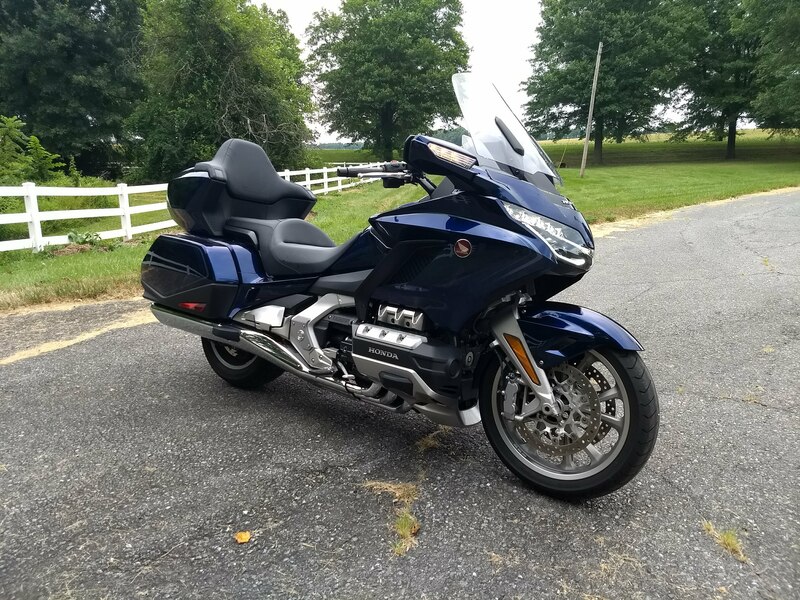 American Honda Motor Co. has finally come through and provided a 2018 GoldWing Tour to test. I had to pick up the bike from the previous journos at Maryland Public Television’s studios for the MotorWeek program in Owings Mills, MD. When I got there, the bike was parked in Goss’ Garage. As somebody that has watched the show and Pat Goss’ maintenance segments for years, I’ll admit I had a tiny star-struck moment firing the Wing up on the set and riding it out. Backroaded about half the way back to Jefferson to come to terms with the bike and operation of the Dual Clutch Transmission — needless to say this is not your Grandpa’s Touring Sofa — then hit the interstate and wicked it up into the engine’s Happy Zone. Look for a full test in the September/October Issue of Motorcycle Times, with extended coverage in RPP. Now I just need to find some places to go! This entry was posted in New Motorcycle Tests, RPP News and tagged H, Honda Gold Wing, Honda motorcycles. Bookmark the permalink. Come on back to Asheville! I’ll trade room/board for a test ride!